We’ve recently had a few people ask us about quinoa. 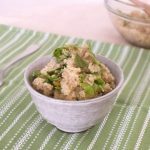 Questions like “how can you eat that?”, “how do you make it taste good?”, and “do you really like that stuff?” Since we occasionally use quinoa in recipes and there seems to be a demand, we decided to do a quick how-to for this delicious, versatile supergrain. A single 1/2 cup serving of quinoa contains all of the essential amino acids, 3 grams of fiber, and 4 grams of protein. 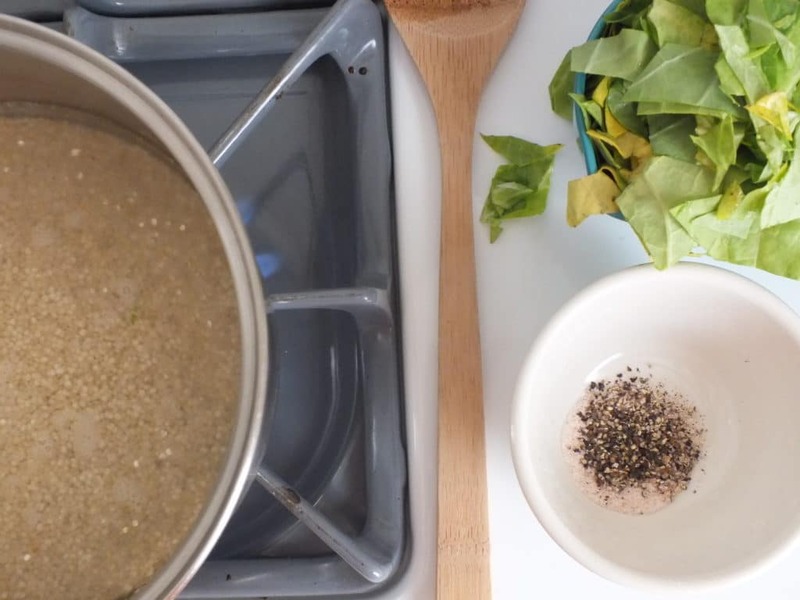 You can add absolutely any kind of flavor to quinoa and it takes on another life. We’ve used garlic [cloves and powder], cumin, nutritional yeast, cayenne, and simple thyme. Sea salt and pepper is also an easy go-to that adds plenty of flavor. 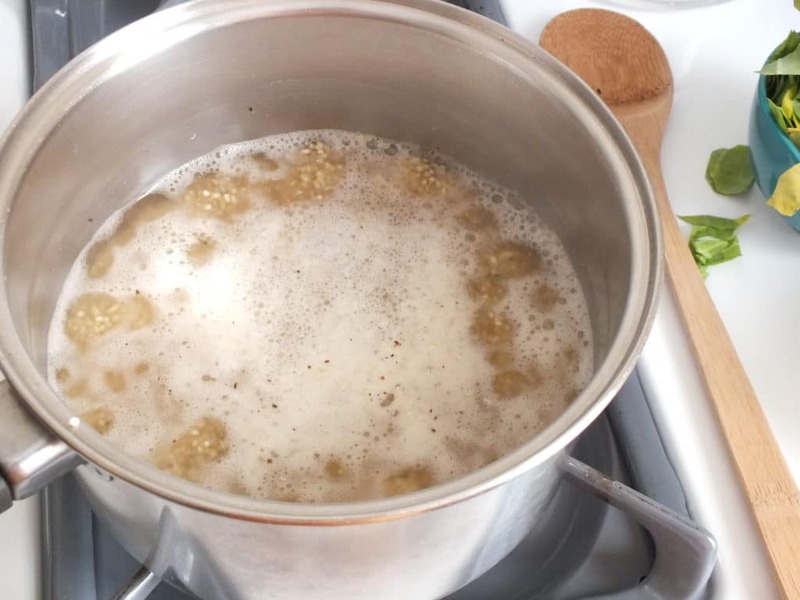 Some quinoa suggests that you rinse it before cooking. We have a small mesh strainer that works great for this purpose. 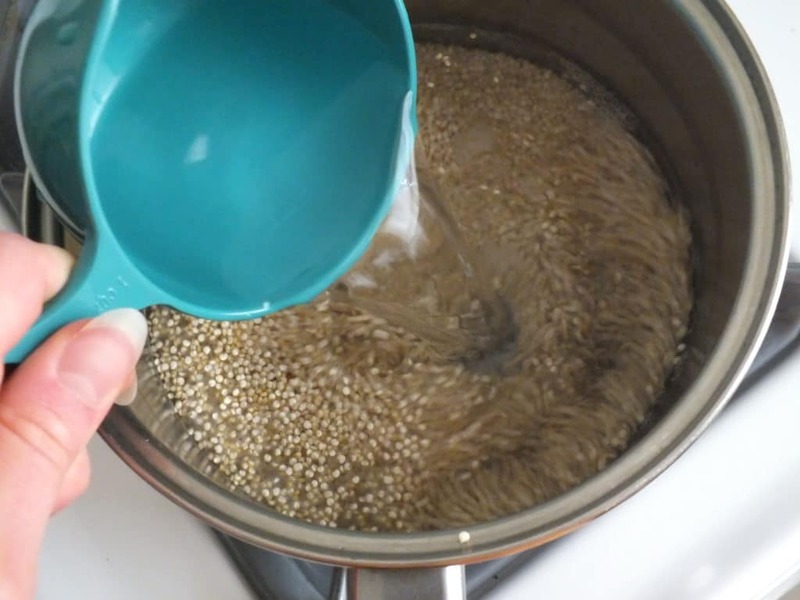 Measure out 1 cup of quinoa, pour it into the strainer, and then rinse it with cold water. The reason for doing this is to remove small particles of chaff that may have gotten into the mix along the way. Post-rinsing, dump the quinoa into a saucepan and add 2 cups of water. Add 1-2 teaspoons of sea salt and 1-2 teaspoons of fresh black pepper and stir to mix it in. Bring the pot to a boil over medium/high heat, then cover and reduce to a simmer. In total, the quinoa will take about 20-25 minutes to cook. Every 5 minutes or so, remove the lid and stir. You’ll notice the water slowly evaporating and the quinoa getting fluffier. 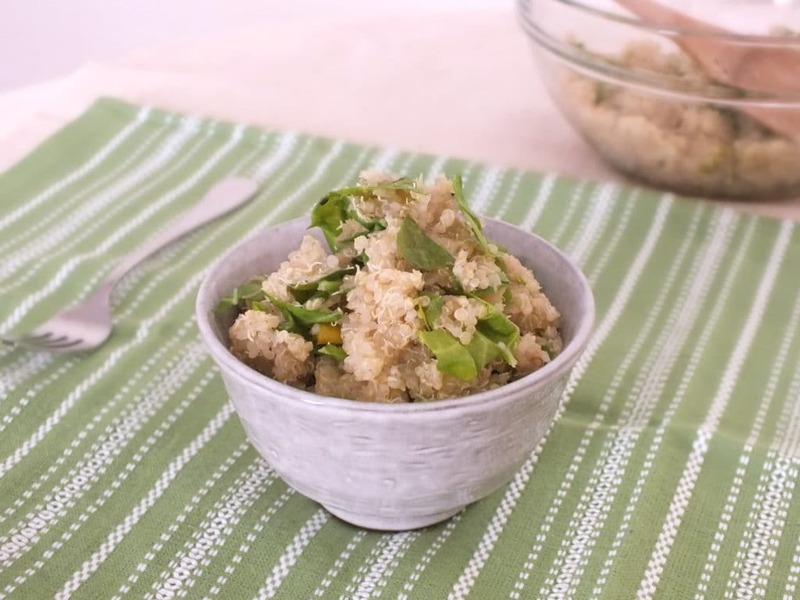 We love to add greens to our quinoa because who doesn’t want an extra serving in their day? If you feel like it, add about 2 cups of chopped greens to the pot at the 15-minute mark [spinach, kale, collards, arugula, etc.]. Replace the lid and allow the greens to steam for 3 minutes then stir them into the quinoa and continue cooking. The quinoa is done cooking when there is no more water and it appears fluffy. 1. 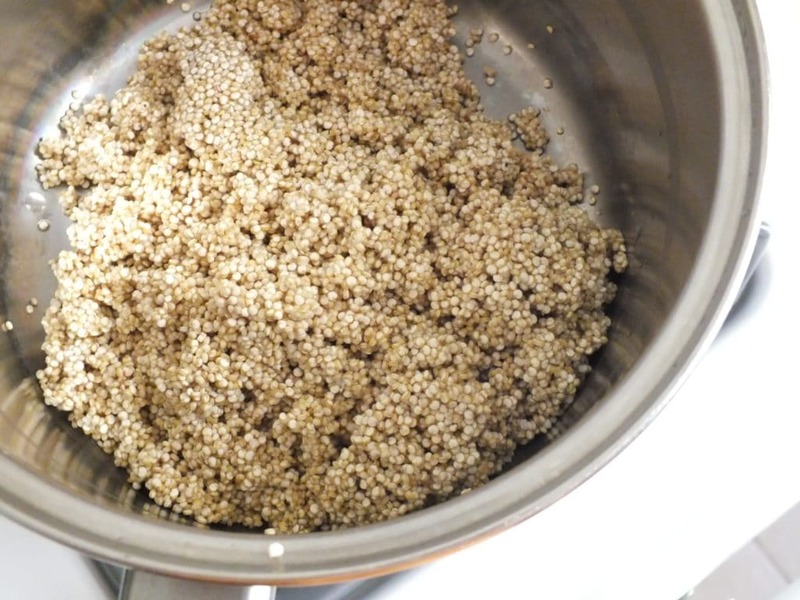 Measure out 1 cup of quinoa, pour it into the strainer, and then rinse it with cold water. The reason for doing this is to remove small particles of chaff that may have gotten into the mix along the way. Post-rinsing, dump the quinoa into a saucepan and add 2 cups of water. 2. Add 1-2 teaspoons of sea salt and 1-2 teaspoons of fresh black pepper and stir to mix it in. 3. Bring the pot to a boil over medium/high heat, then cover and reduce to a simmer. In total, the quinoa will take about 20-25 minutes to cook. Every 5 minutes or so, remove the lid and stir. You’ll notice the water slowly evaporating and the quinoa getting fluffier. 4. If you feel like it, add about 2 cups of chopped greens to the pot at the 15-minute mark [spinach, kale, collards, arugula, etc.]. 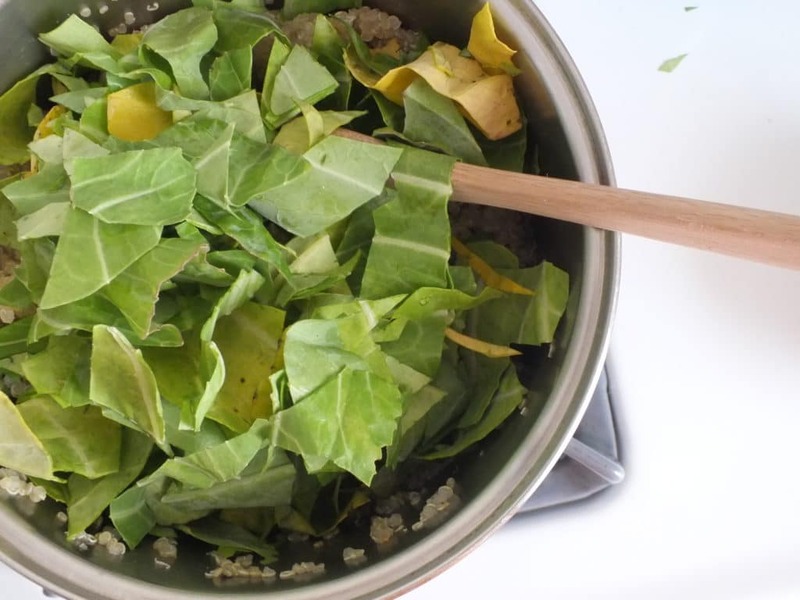 Replace the lid and allow the greens to steam for 3 minutes then stir them into the quinoa and continue cooking. The quinoa is done cooking when there is no more water and it appears fluffy.